The past couple of weeks have been hectic, my parents, sister, nieces and nephews all came to visit and it was impossible to get any real work done. Luckily I had spent the beginning of the month clearing out my inbox and todo list so I could keep my income passive while they were in town. We started by spending 10 nights in Koh Lanta, Thailand and now we're in Taipei, Taiwan. Thank goodness for Starbucks and hotel wifi. The craziest thing however was starting a new membership site project while this was all going on. 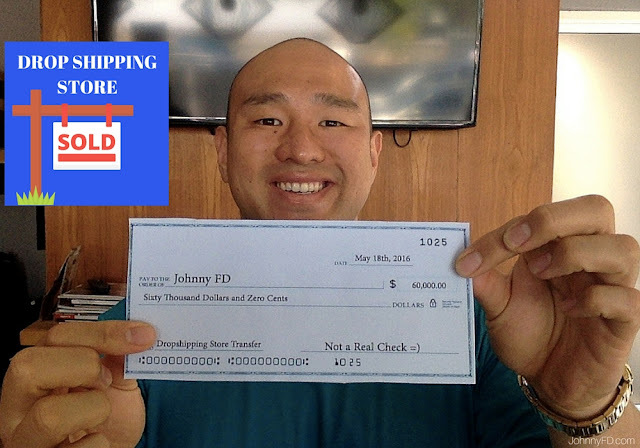 Here is a write up of how much I made from my dropshipping stores, Udemy courses, eBook sales, Phone Coaching and other sources of income for the past four weeks. 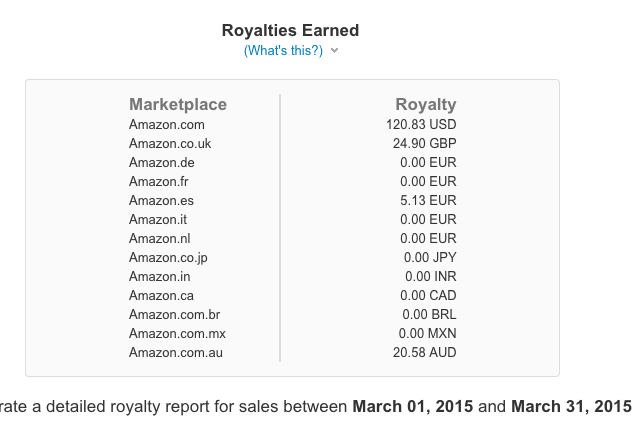 This month's ebook earnings was around $200US which is a bit lower than previous months which have always been around a hundred dollar more or so. Since the books aren't a huge part of my income and I really just want to share my store, I've decided to lower the price of Life Changes Quick from $7.99 to $4.99 on Amazon.com to see if that boosts sales. Readers are still enjoying the book, sharing it and leaving great reviews so hopefully this sale will kick start it again, so check again next month to see if it worked or not. 5Wow? I can't believe he shared that? If you see yourself as an aspiring entrepreneur, or are the adventurous type who really wants to live outside the box— then you'll find this book is like pouring gasoline on the fire of your dreams. The thing I really enjoyed about Johnny's book is that he's so transparent about his life: where he was before: financially, emotionally, and physically. As you're reading this book, you might be thinking... "Wow? I can't believe he shared that?" This relatability that Johnny seems to beautifully exude, makes it so easy to see yourself traveling alongside with him in his wild adventures. There is also a very strong motivational force that will come upon you in reading this book. Why? Because he writes in such a way that lures you into thinking that if he could do it, so could you. I highly recommend buying this book, or gifting it to a friend who needs that little extra push to get his/her dreams up-and-running. I, personally am not wasting anymore time— life changes quick. Last month was a bit slow for Udemy sales but then again this is completely passive as we made the course now almost six months ago and haven't done anything to promote them since, so I can't really complain. Larissa and I each earned $233.44 mainly from our Small Talk Course and our Get Relationship Ready course for a total of $466.88 which is nice passive income. 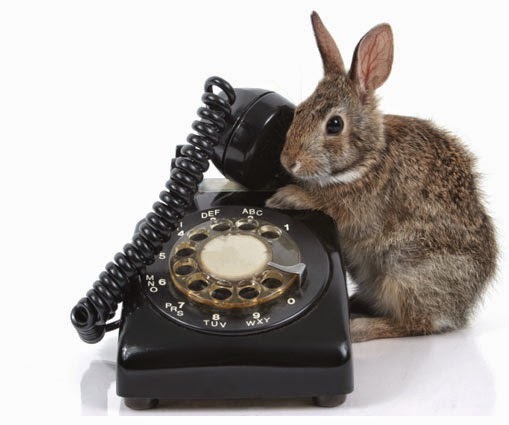 This month I had one student sign up for a 4 session package of phone coaching. We've already had our first session and I helped walk him through niche selection and how to properly do research to see if there are potential suppliers as that's what his main issue was the first time around when he tried to do it on his own. It's not a huge part of my income as it's not something I advertise often because I only have time to take on one or two clients per month but it's a nice win/win for myself as extra income and because I enjoy helping others succeed in their businesses. 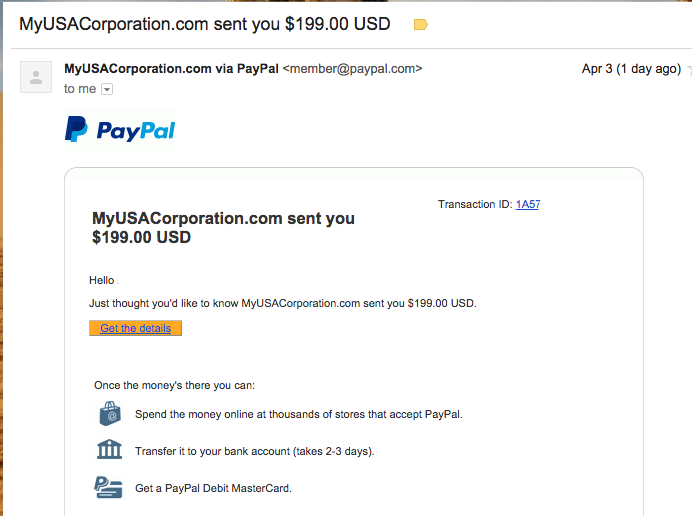 Every month I also randomly get payments or account credits for things I recommend in my resources page. I always try to sign up as an affiliate for things that I use anyways, so when I formed my LLC in Wyoming with My USA Corp I asked them if they had a referral program and they did. The main reason why people buy through my link is because they get $25 off when they do and possibly because they want to be nice and give me credit for referring them. Also it's been almost a year since I signed up for WiTopia which is the VPN service I use and it's almost time to renew as my subscription is running out. 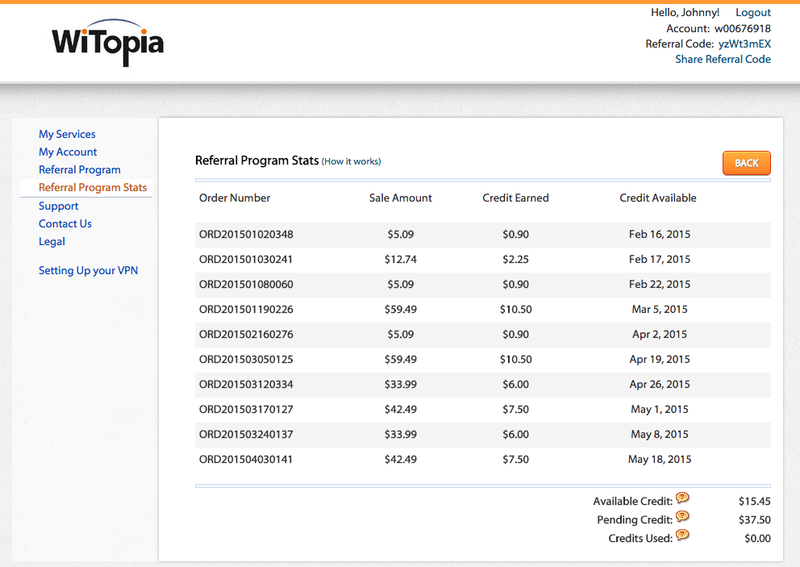 It's not a big amount of money but I just checked my affiliate account and see that I have some credit for the people I referred using my 15% off Witopia link. You can see all of the products I personally use in my recommended resources page here. 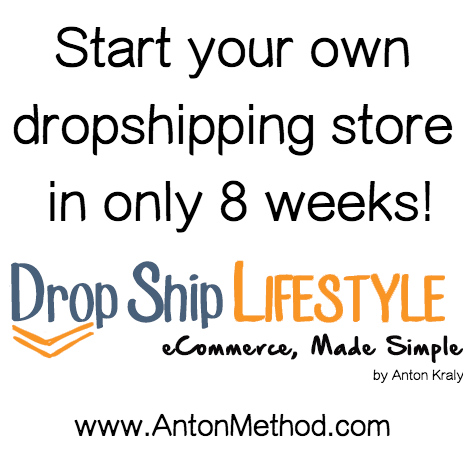 I almost can't believe it's been close to two years now since I took Anton's course and started my first dropshipping store. 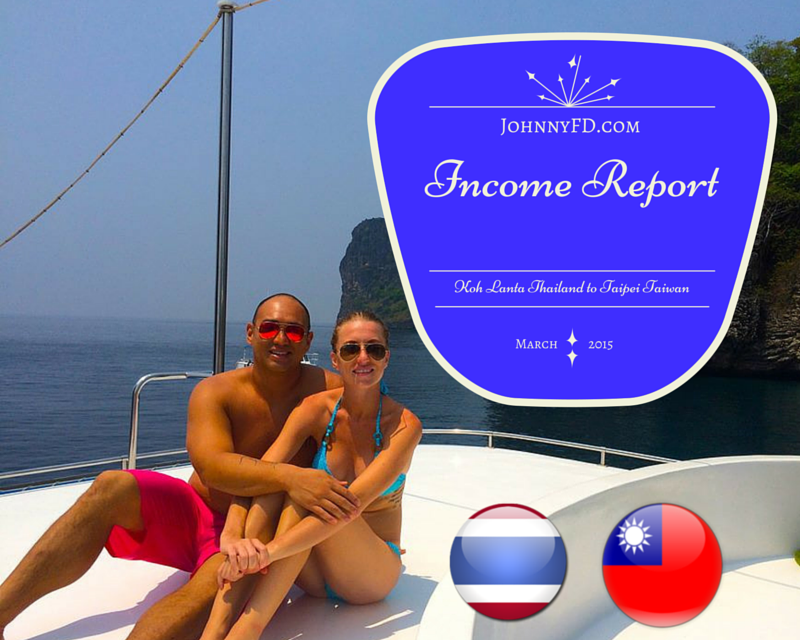 It's still my primary source of income and has given me the freedom to travel and work on my passion projects, the podcast, write my books and really enjoy the location independent life as a digital nomad. 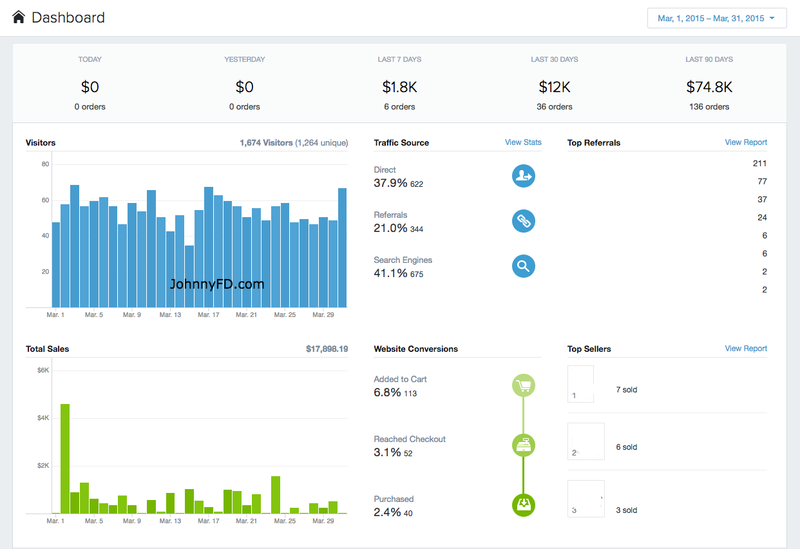 Last month and especially this past week has been a bit slow but overall I still made $17k in sales resulting in a bit over $2,000 in profit for the month. Larissa and my new store started off with a killer first week and a terrible past week. It was strange that both of my store's conversion rate dropped this past week and I finally figured out it was most likely from the free McAfee Trust Seal I installed on both stores. It's really hard to tell because it could have been just a slow week for sales for other reasons, but I've now uninstalled McAfee Secure on both sites just in case and hopefully that'll relaunch our sales for April. Great news is this is the first month that the new store has made more sales than my main one! It's crazy that we just started this store a couple of months ago and it's already doing so well. Also I haven't mentioned anything about it as we haven't really had time to work on it or properly up to speed yet but I actually have a third store that is starting to make sales. The great thing about dropshipping stores is that once you have it up and running, you can automate them to get semi-passive income and outsource the rest. 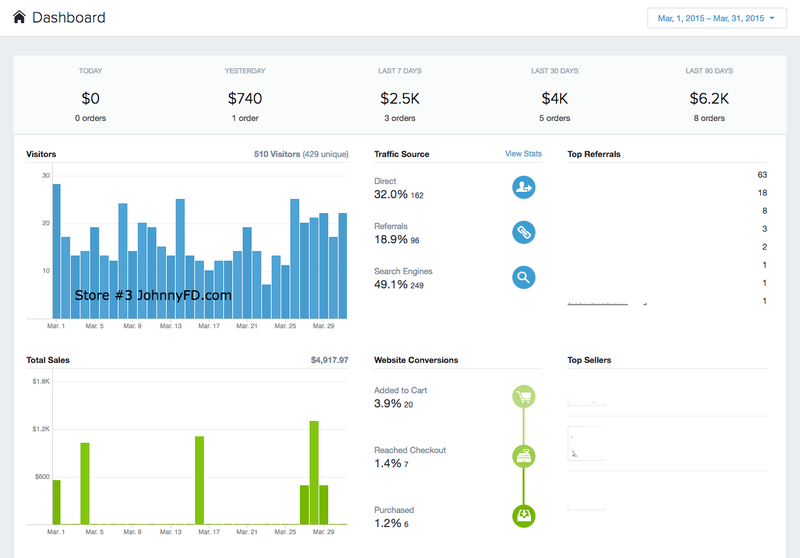 For this store we still need to optimize it for conversions and get more traffic but it has potential to be another good source of income so we're going to start paying more attention to it and scale it up when we have time. Some people have as many as ten stores and build an empire around it but honestly I'm happy just having a few stores that bring in $5,000 a month or so in profit per month and having the free time to work on other projects. Larissa is extremely happy that our new stores are doing so well as she made more money from Store #2 alone this month than she would have working full time in HR back in South Africa. It's been almost two years since I've joining Anton's Dropshipping Course and I recomend it now even more than ever. 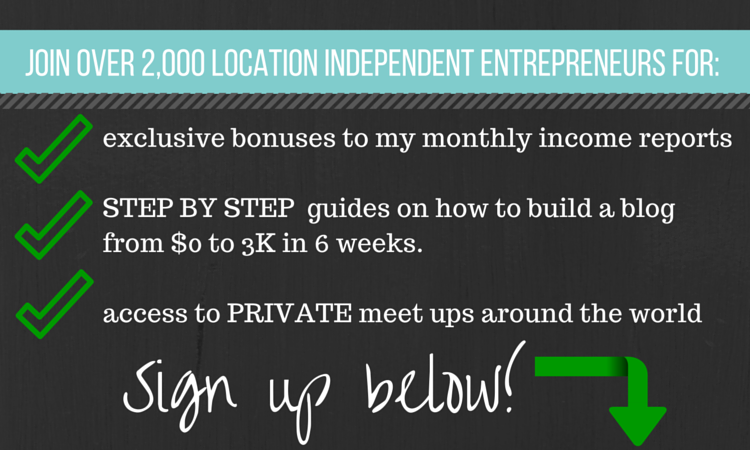 It's not cheap to join, but once you're in, each store costs you less than $100 to build and can bring in well over $1,000 a month in semi-passive income. 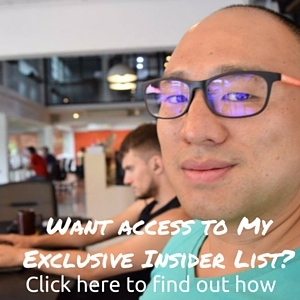 It's the best way I know of to make money online and best of all, it's location independent and only takes a few hours a day once it's up and running. My parents are going back to San Francisco tomorrow but I'm planning on staying in Taipei for a few more weeks to avoid the end of burning season in Chiang Mai as well as the craziness of Songkran which is the national water fight/Thai New Year. I haven't worked much these past three weeks but i'm excited to get back into it. I've in week 3 of creating my new membership site and made it a priority not to miss any of the weekly mastermind calls. 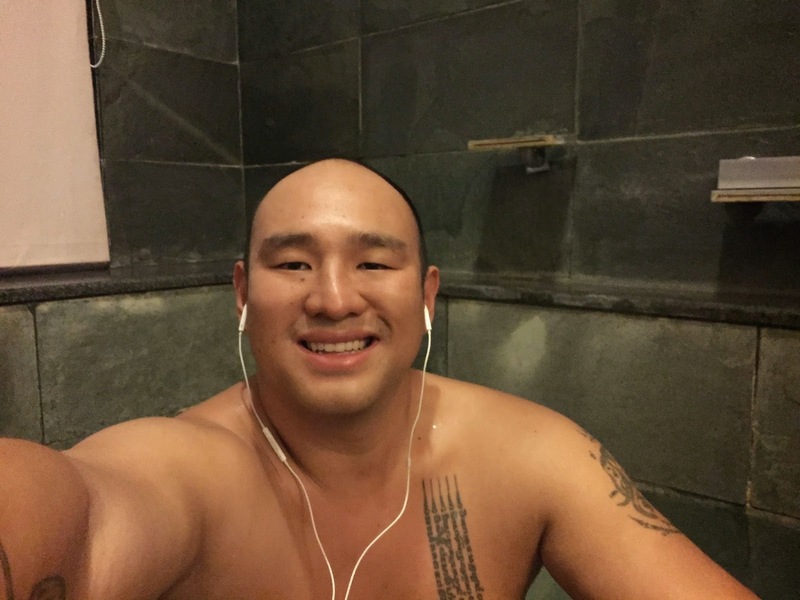 I doubt any of the other members realized but I was actually sitting in a mineral bath during this week's call here in Taiwan. Best of luck to everyone in their journeys. Keep in touch and as always i'm happy to help out whenever I have time. If you haven't already, check out the post I wrote to encourage my friends and family to start their own online business. Sounds like you guys are having fun. It must be so rewarding to have your family visit you in Thailand, knowing that this kind of lifestyle was probably not even in your sights several years back. Love the way you're so diligent to add massive value in your blogs & podcasts. Increase is on the way! 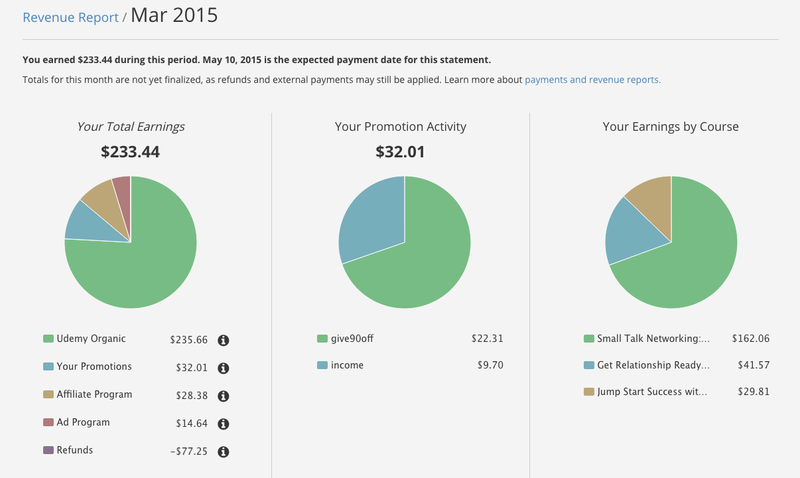 Thanks for posting, I've really been enjoying your revenue posts. I'd love to know more of your thoughts on the McAfee seal you installed and why you think it deterred or hindered your sales. 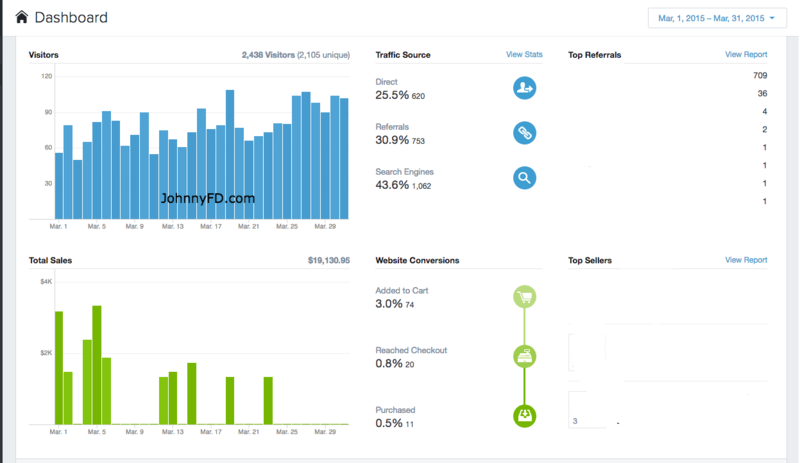 I just installed this app on my site, and because of my traffic volume it's not free. Any further insight or info you might have would be helpful. Also, would love to know what you replaced it with (there don't seem to be many options with Shopify). Hey Weston, it's really hard to tell as the McAfee seal is only one factor and it could be market timing, people waiting for their paychecks before they buy things or just about anything. But I've uninstalled it and will leave it uninstalled as it definitely didn't help. I really hate paying for Trust Guard because it's such a big expense, but it's the only thing that actually increased sales. There's a coupon for it in my resources page if you want to try it out. I think the name "Trust Guard" just sounds better to shoppers that "McAfee Secure" as the anti-virus brand just freaks people out and makes them worry. All I know is I uninstalled McAfee the other day and today we got 3 sales after having almost 11 no sale days. I definitely enjoy reading these reports. Have you switched from Perfect Audience to Facebook for retargeting? Do you ever use Google Remarketing? Thanks again Johnny! Your honesty and transparency gives us the hope that it can be done! QUESTION: What is the "Phone Support" expense for? Hey Nelson, glad you're enjoying the posts! Since I'm in a different timezone than the U.S. and don't want my calls just going to voicemail I've hired an American freelancer to answer my phone calls for me.